Sprint has admitted to a little extra enthusiasm—or at least a ridiculous math error—when it touted the launch sales of its HTC EVO 4G phone this week. 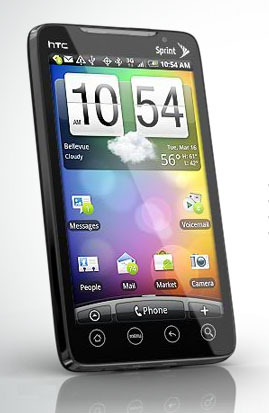 Sprint initially claimed the HTC EVO 4G’s first day sales were triple the number of Samsung Instinct and Palm Pre Palm Pre devices sold during those phones first three days of availability. Now Sprint says that wasn’t right; instead, the launch day sales of the HTC EVO 4G were six times higher than the Samsung Instinct’s launch day sales, and not quite twice the launch day sales of the Palm Pre. Sprint now says first-day sales of the HTC EVO 4G were “in line” with sales figures from the first three days of availability for the Samsung Instinct and Palm Pre. combined. Sprint has yet to release any specific sales figures for the HTC EVO 4G, although the company’s revised launch-day-lauding still paints the device as a very successful launch, and reports have the phone in short supply at Sprint retail stores and other authorized resellers. Industry watchers are estimating Sprint sold anywhere from 90,000 to 150,000 phones during the HTC EVO 4G’s first weekend of availability, but those estimates are now down from forecasts as high as 300,000 prior to the phone’s launch. Sprint offered no explanation for the gaffe, saying only that it “inadvertently erred” in the sales comparison to other successful Sprint phone launches.